Powder Magazine walking track is a short walk near Trial Bay, in Arakoon National Park, offering scenic views and historic heritage. Powder Magazine track is an excellent short walk to the historic powder magazines on the headland at Arakoon National Park on the North Coast. Only one of the constructions still stands, but you can still admire the work of early Australian stone masons and whilst taking in the inspiring views. Detouring from the easy Monument Hill walking track, the track leads through casuarinas, banksias and craggy old bloodwoods. 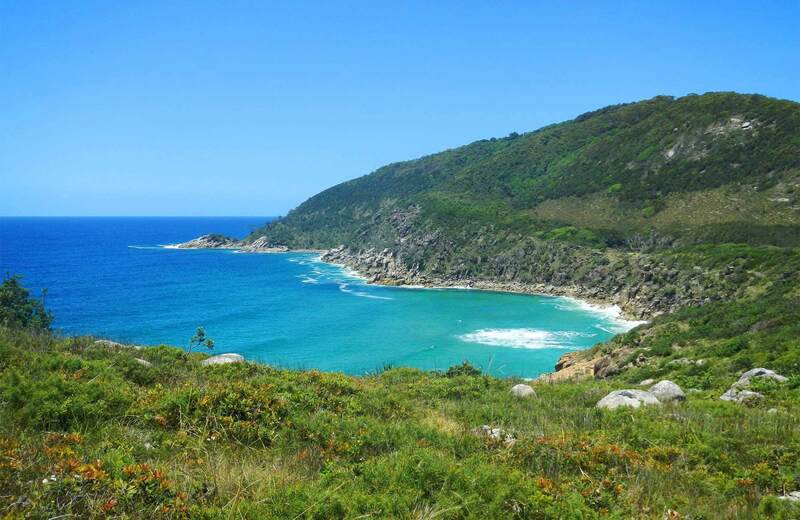 Crossing small brides through moist gullies of tea tree and palms, you’ll catch glimpses of Trial Bay and perhaps a majestic sea-eagle cruising the coast. The medium track meanders through a patch of cool rainforest with large glossy vines before meeting up with the Bridle trail. Cool off with a refreshing swim at Trial Bay or enjoy a refreshing drink at Trial Bay Restaurant.